Most stores offer a loyalty scheme nowadays, so you’ll be well aware of the benefits of saving up your points and receiving great discounts or other incentives. The question is: are you making enough of the opportunities to boost your points even further? Here’s our breakdown on how to make your loyalty schemes work for you. And, if you want to make your points go even further, there are lots of good ways to make extra money on the side, including taking part in paid market research studies! Tesco Pay+ Wallet. This is a free app that lets you store your credit or debit card details and Clubcard details. You can quickly and conveniently pay for your shopping and then automatically collect your Clubcard points by scanning the barcode in the app. You can use it at all Tesco stores and petrol stations, and earn 25% extra points. 2018 offering. Tesco is offering an extra point for every £4 spent until 31st December 2018 on top of the current one point per pound offering, meaning you get five points for every £4 spent. Clubcard Boost. This scheme gives you great offers on train tickets, cinema tickets, magazine subscriptions, theme park passes, hotel rooms and gifts. Tesco credit card. You’ll get extra points every month when you pay for things using the credit card. Tesco bank account. 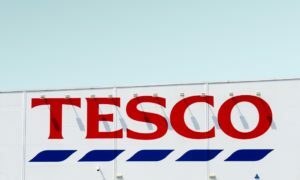 If you set up a bank account with Tesco, you’ll receive one extra Clubcard point for every £1 spent in-store or on fuel with Tesco, and one point for every £8 you spend anywhere outside Tesco (minimum spend £8). Tesco mobile. Collect one Clubcard point for every £1 spent on pay-as-you-go top-ups and monthly bills. Your Nectar card isn’t just for Sainsbury’s! Whilst you’ll earn one point for every £1 spent at the store, you can also use it with BP, British Gas, eBay, Expedia, and others. Nectar Website. This is a great little trick: redeeming your points through the Nectar website rather than in-store results in a slight boost, usually 2 or 3x in value. Collect points for Virgin Trains advance sales. You can earn two points per £1 spent when booking through the Virgin Trains East Coast website. American Express. You’ll earn two Nectar points (worth 1p) per £1 spent on the card (plus your usual Nectar points). Sainsbury’s credit card. Earn one point for every £1 spent in-store or on fuel with Sainsbury’s, and one point for every £5 you spend elsewhere. Online surveys. You can earn extra Nectar points for completing online surveys – up to 120 points a time plus an entry into Sainsbury’s quarterly £5,000 draw. Donating goods to Oxfam. This brilliant scheme allows you to earn two points per £1 when your items are sold and 100 points when registering. You can collect Morrisons More points in more places than you might think: all Morrisons stores, flower shops, garden centres, and petrol stations, receiving 5 points for every £1 spent. Fuel. Once you’ve accumulated 5,000 points you’ll receive fuel vouchers. Join Morrisons Clubs. Morrisons run clubs for various groups of people, such as More for Students and Baby&More. These clubs offer extra discounts and points on particular products. Boots offer four points for every £1 spent, which can be redeemed in-store and online (on all products except infant milk, prescriptions, stamps, gift vouchers, and mobile phone top-ups). Mega points weekend. If you spend £50 in-store or online, you’ll receive a whopping 1,000 extra points (worth £10). Boots app. Download the Boots app for free and receive offers tailored specially to you. Weekly emails. Don’t bin these without opening them as you could be missing out on deals to earn extra points and coupons that can help you maximise existing points. Boots Clubs. Boots Parenting Club and Boots Over 60s Club have some great offers that are tailored especially for you, plus Parenting Club offers an extra 10 points for every £1 spent on baby products. Looking for good ways to make extra money on the side? Sign up to paid market research now.